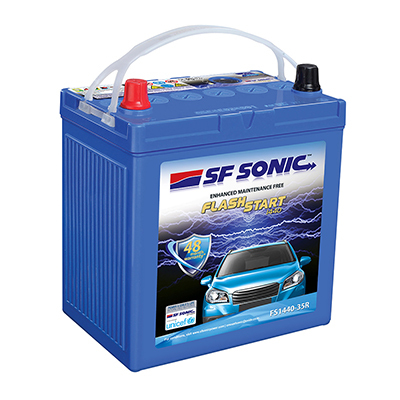 SF Sonic car battery, characterized by power at its peak throughout its lifetime, is considered as the ultimate in power-packed battery. SF Sonic is backed by world famous Furukawa Battery of Japan. SF Sonic is currently manufacturing a wide gamut of battery models for 4 wheelers, 2 wheelers and inverters. 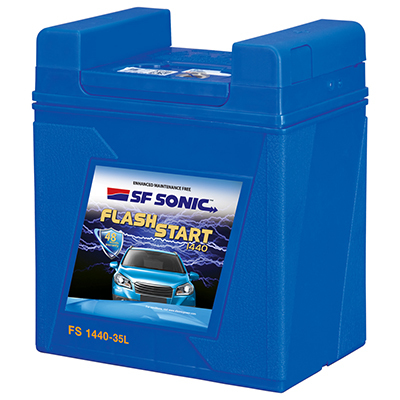 SF Sonic has introduced several ranges of batteries like SF Super Sonic, SF Sonic Jet, SF Jumbo, SF Sonic Rodeo, SF Sonic Power House and SF Sonic Power Box. 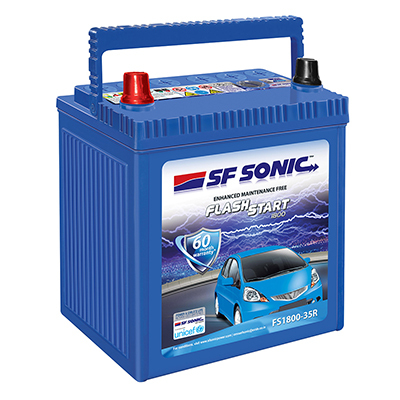 You can also get several models in each range of SF Sonic battery. 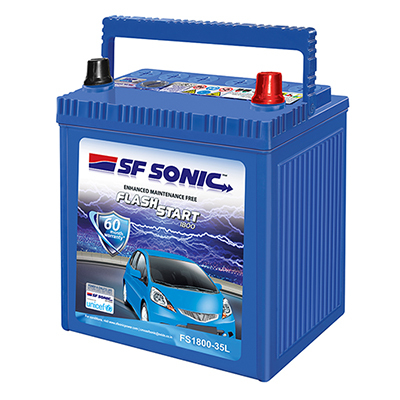 SF Sonic car battery is known for more power & performance, attractive design & appearance, low maintenance and easy to install features. 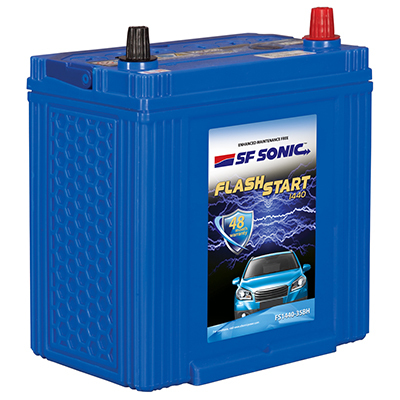 SF Sonic is currently providing car batteries for several models of different car brands including Audi, Fiat, Ford, BMW, Mercedes, Volkswagen, Tata, Maruti Suzuki, HM, Honda, Hyundai, Škoda etc. 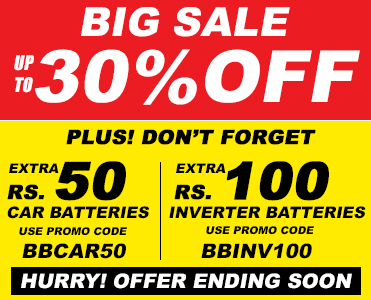 Being India’s first online multi-brand battery store, we offer only 100% genuine SF Sonic batteries, backed by company warranty and after sales support, at unmatchable prices. Apart from genuine products and best prices, you also get free home delivery within 24 hours with absolutely free installation. 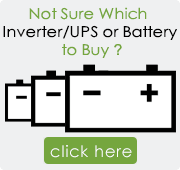 Buying SF Sonic car batteries at BatteryBhai.com is completely safe and trustworthy as we do not ask for your credit card or net banking information and you only pay cash when the battery is delivered and installed. If you need any kind of assistance regarding SF Sonic car batteries, you can simply call their customer care for any kind of assistance. However, if you are also facing any kind of auto electrical emergency like start-up problem or battery failure, you can call 1800 102 6060 for Bat-Mobile emergency services.